The WHO listed 10 threats to global health in 2019. All are important. Several are especially relevant to North America. Non-communicable diseases — such as diabetes, cancer and heart disease, are collectively responsible for over 70% of all deaths worldwide, or 41 million people. This includes 15 million people dying prematurely, aged between 30 and 69. Fragile and vulnerable settings — More than 1.6 billion people (22% of the global population) live in places where protracted crises (through a combination of challenges such as drought, famine, conflict, and population displacement) and weak health services leave them without access to basic care. Antimicrobial resistance — The development of antibiotics, antivirals and antimalarials are some of modern medicine’s greatest successes. Now, time with these drugs is running out. Antimicrobial resistance – the ability of bacteria, parasites, viruses and fungi to resist these medicines – threatens to send us back to a time when we were unable to easily treat infections such as pneumonia, tuberculosis, gonorrhoea, and salmonellosis. The inability to prevent infections could seriously compromise surgery and procedures such as chemotherapy. Weak primary health care — Primary health care is usually the first point of contact people have with their health care system, and ideally should provide comprehensive, affordable, community-based care throughout life. https://bmjopen.bmj.com/content/8/6/e021161 — 2017 study showing people with family doctor live longer — higher levels of continuity of care with doctors were associated with lower mortality rates. Vaccine hesitancy — Vaccine hesitancy – the reluctance or refusal to vaccinate despite the availability of vaccines – threatens to reverse progress made in tackling vaccine-preventable diseases. Vaccination is one of the most cost-effective ways of avoiding disease – it currently prevents 2-3 million deaths a year, and a further 1.5 million could be avoided if global coverage of vaccinations improved. Dengue — Dengue, a mosquito-borne disease that causes flu-like symptoms and can be lethal and kill up to 20% of those with severe dengue, has been a growing threat for decades. HIV — The progress made against HIV has been enormous in terms of getting people tested, providing them with antiretrovirals (22 million are on treatment), and providing access to preventive measures such as a pre-exposure prophylaxis (PrEP, which is when people at risk of HIV take antiretrovirals to prevent infection). 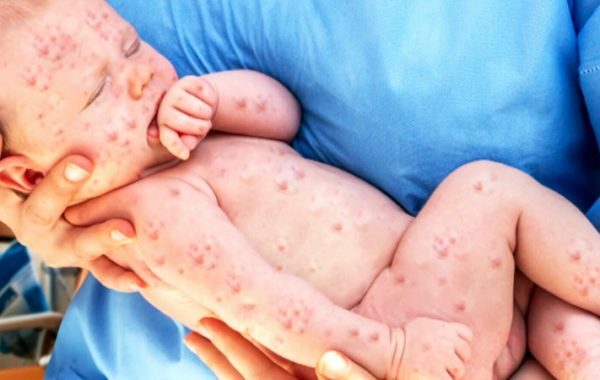 By 29 January, Clark county public health (CCPH) in Washington state had identified 36 confirmed cases of measles and 12 suspected cases. Twenty-five cases involved children under 10, 32 of those affected had not been immunized, and the remaining four had an unconfirmed vaccination status. Some people may suffer from severe complications, such as pneumonia (infection of the lungs) and encephalitis (swelling of the brain). They may need to be hospitalized and could die. As many as one out of every 20 children with measles gets pneumonia, the most common cause of death from measles in young children. Vaccine benefits and limitations — Immunization is one of the most effective preventive health measures. In 2014, the Centers for Disease Control and Prevention (CDC) estimated that, among children born from 1994 through 2013, vaccination would prevent 322 million illnesses, 21 million hospitalizations, and 732,000 deaths. While studies have shown that uninsured and Medicaid-insured children are less likely to receive vaccinations, a significant number of children are not being vaccinated because their parents worry about alleged links between autism and vaccine. However, there are no links between the two. Previous: Perspective — Health and Loved Ones are What’s Important. These Kids Get It.